Here is the Frisco Rod and Gun Outer Banks Fishing Report for Hatteras Island. We had sunny skies today. The winds were from the west at 10-15 mph and the temperatures were in the mid 40’s. Our sand road at Mirlo Beach is still passable and could be all day with the forecast of light winds and the ocean swell much smaller. The Avon beach had sharks and skates reported. There were puppy drum and sea mullet caught out at Cape Point along with sharks and skates. On the Frisco beach and Hatteras beach a few sea mullet were caught. No boats fished inshore and one boat fished offshore and caught some nice yellowfin tuna and albacore. 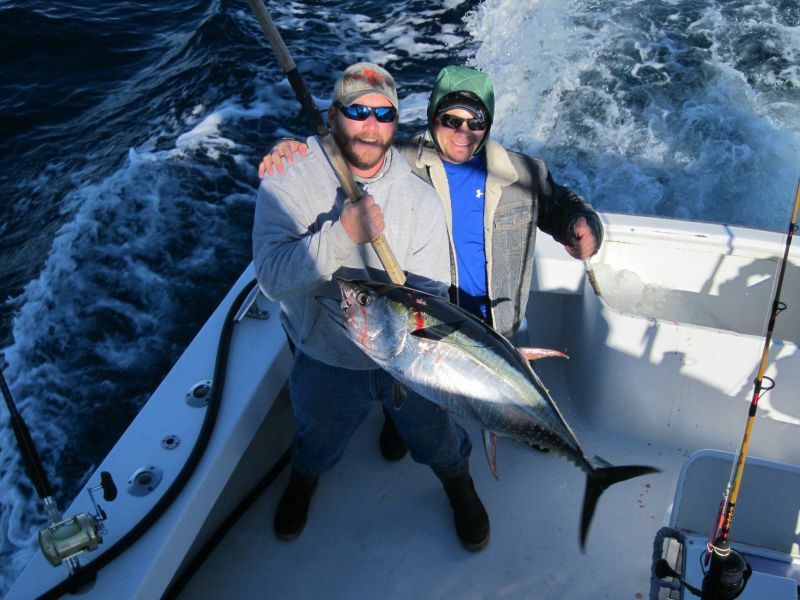 The picture below is the “Godspeed” charter boat with one of the yellowfin tunas they caught today. Dexter Russell Seafood Knives are made with high carbon steel and will make your shellfish opening easier. Oysters are starting to show up here on the Outer Banks so be ready with your Dexter Russell Oyster Knife. We have select Sperry shoes on sale. All of our Woolrch Fall clothing in stock are on sale. Browning Casual Clothing On Sale Now.